2 What is Laser Surgery For Snoring? 4 how long does it take to recover from snoring surgery? 5 Why Choose Laser surgery to Stop Snoring? 6 How Much Does Stop Snoring Surgery Cost? memory problems and relationship difficulties. Recent research studies have also shown a correlation between snoring and increased risk of stroke, high blood pressure and heart attack. There are many non surgical treatments and home remedies about how to get rid of this issue, but most of them inevitably fail. Fortunately, advancements in medicine have brought about laser surgery for snoring which is very effective in getting rid of snoring problems. What is Laser Surgery For Snoring? Introduced in the year 1993, laser surgery also known as LAUP (acronym for Laser Assisted Uvulopalatoplasty), involves use of a laser instead of a traditional scalpel. It is the most popular, effective and most widely used treatment for primary snorers. This surgical procedures to stop snoring removes obstructions in your airways in an outpatient setting underuse of local anesthesia. It utilizes a laser to vaporize the throat flap (uvula) and a portion of the palate in a series of small treatments, several weeks apart. The number of procedures required will vary, and some patients may need up to 4 sessions. Do you disturb your partner or family members with loud snoring? When sleeping, do you normally encounter obstructive breathing? Do you tend to have daytime tiredness and sleepiness? Do you normally wake up in the middle of the night? Before the surgery to stop snoring is done, the procedure will be fully explained, and you will need to give your consent. You will also need to give a full medical/health history of all your sleep problems and those of your family. In addition, a detailed medical examination will be done to check for any vital signs. During this examination, the doctor will determine your level of actual snoring or/and sleep apnea. This will help complete the evaluation that’s necessary for prescribing the right snoring surgery for your particular needs. what’s Procedure doctor doing during surgery? This new stop snoring surgery is normally done in the doctor’s office while you are fully awake and sitting on a chair. It doesn’t require hospitalization and is trouble free. This outpatient surgical treatment will involve use of a CO2 laser to remove part of the palate and also the uvula. 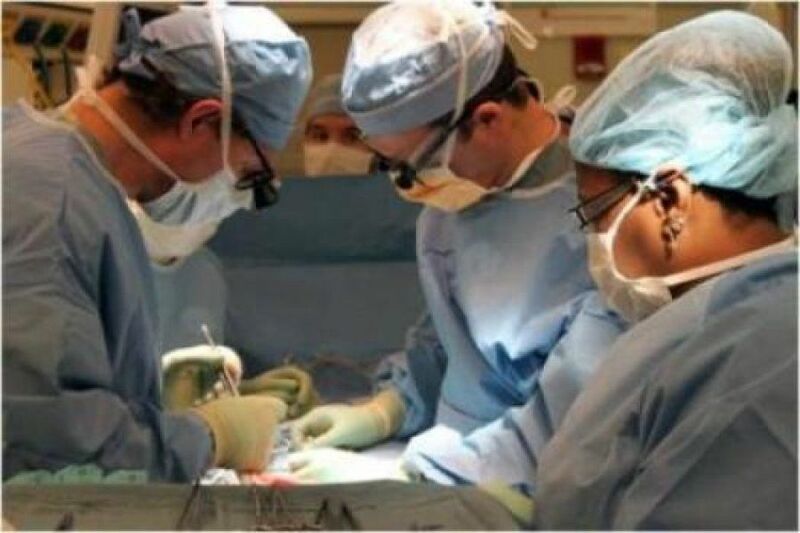 The surgeon will 1st spray a local general anesthetic on your throat’s back, covering your uvula, tonsils, and the palate… Before administering the anesthesia, the doctor will inform you that the throat will get numb and you’ll lose sensation of swallowing or/and breathing. After administering the local anesthesia, the next step will be injection of additional anesthesia into the uvula’s muscle layer. After waiting for that anesthesia to take its’ effect, the surgeon will use a laser to make 2 vertical incisions inside the palate on both sides of your uvula. ring final incision is done to remove the uvula’s tip. This shortens the uvula, which in turn eliminates obstruction that contributes to snoring. The surgeon will also remove a part of palate. The entire surgery for snoring can take 20 – 30 minutes. Operation completed successfully what’s next? can return home immediately? After the snoring operations, you will be monitored for about 20 minutes. You will be given antibiotics for one week if need be. Otherwise, you’ll be able to return home immediately. It’s typical to feel some pain or pressure when swallowing for a couple of days after the procedure, but this can be suppressed or controlled using analgesics. In terms of general feeling, it’s similar to the tonsillitis treatment, although this snore laser procedure does not involve removal of tonsils. You should consider taking a soft diet for the next couple of days. You might experience a sore throat after the surgery, but in general, the procedure is safe and doesn’t have any adverse side effects. In terms of success rate, it is reported that after the surgery, about 85% of patients experience complete or near complete elimination of snoring problems. Krespi, which is a leading American proponent of laser surgery for snoring, has also reported 85% satisfactory resolution of snoring in more than 500 patients. how long does it take to recover from snoring surgery? After undergoing surgical procedures to stop snoring, you can expect to resume your normal routine almost immediately. However, the full recovery period is estimated to be between 1 to 2 weeks, but will depend on the individual. Why Choose Laser surgery to Stop Snoring? -You will not need to wear any devices while you sleep. -It is fast, comfortable and convenient procedure. -It is safe, simple and effective. -It is a non invasive solution. -It has been clinically proven to help reduce or eliminate snoring. How Much Does Stop Snoring Surgery Cost? An initial sleep disorder or snoring evaluation visit may cost you about $230. The total snoring surgery cost laser for each of the snoring laser surgery treatment sessions is typically $500. That said, it is important to note that you might require at least 4 treatments for significant snoring relief. However, it can take as few as just 2 or 3 treatments. Full payment will be required during the initial evaluation, and also during each laser treatment.